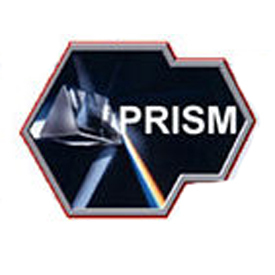 A slide depicting the top-secret PRISM program. Some of the world’s largest internet brands are claimed to be part of the information-sharing program since its introduction in 2007. Microsoft – which is currently running an advertising campaign with the slogan “Your privacy is our priority” – was the first, with collection beginning in December 2007. Two different versions of the PRISM scandal were emerging on Thursday with Silicon Valley executives denying all knowledge of the top secret program that gives the National Security Agency direct access to the internet giants’ servers. 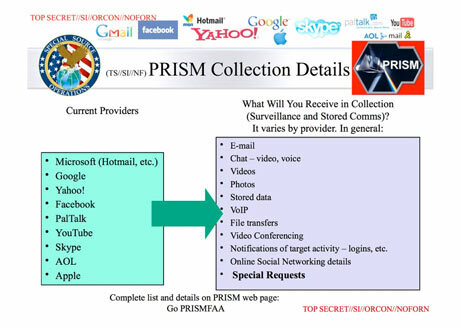 The top-secret NSA briefing presentation set out details of the PRISM program, which it said granted access to records such as emails, chat conversations, voice calls, documents and more. 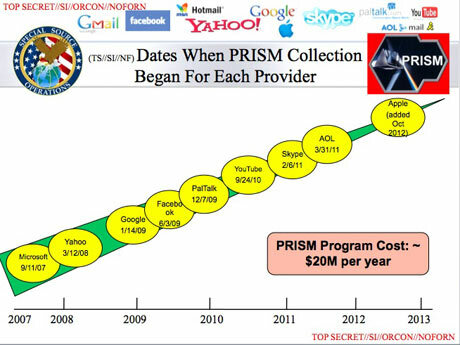 The presentation the listed dates when document collection began for each company, and said PRISM enabled “direct access from the servers of these US service providers: Microsoft, Yahoo, Google, Facebook, Paltalk, AOL, Skype, YouTube, Apple“. Senior officials with knowledge of the situation within the tech giants admitted to being confused by the NSA revelations, and said if such data collection was taking place, it was without companies’ knowledge. 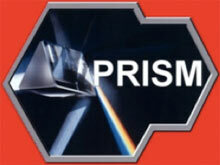 An Apple spokesman said: “We have never heard of PRISM. We do not provide any government agency with direct access to our servers and any agency requesting customer data must get a court order,” he said. A Yahoo spokesman said: “Yahoo! takes users’ privacy very seriously. We do not provide the government with direct access to our servers, systems, or network. 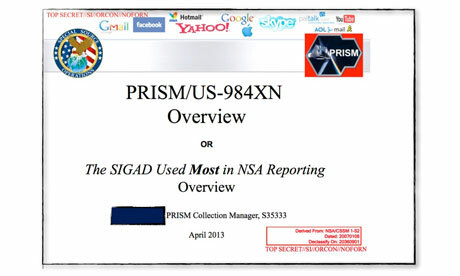 Within the tech companies, and talking on off the record, executives said they had never even heard of PRISM until contacted by the Guardian. Executives said that they were regularly contacted by law officials and responded to all subpoenas but they denied ever having heard of a scheme like PRISM, an information programme internal the documents state has been running since 2007. Executives said they were “confused” by the claims in the NSA document. “We operate under what we are required to do by law,” said one. “We receive requests for information all the time. Say about a potential terrorist threat or after the Boston bombing. But we have systems in place for that.” The executive claimed, as did others, that the most senior figures in their organisation had never heard of PRISM or any scheme like it. The chief executive of transparency NGO Index on Censorship, Kirsty Hughes, remarked on Twitter that the contradiction seemed to leave two options: “Back door or front?” she posted. DARPA is getting serious about one of the issues that cyber-security professionals inside and outside government regularly bemoan: the relative inability of weak passwords to protect…anything. To overcome the fact that passwords can be stolen or hacked — and don’t necessarily protect a computer once the authorized user is logged on — the Pentagon’s research arm has kicked off a $14 million effort to develop sensors that can constantly monitor users’ online behavior to determine whether they are who they say they are. This kind of vigilance is going to become all the more important as the Pentagon shrinks the number of networks it runs under its cloud-computing initiative and fields mobile devices capable of handling classified information. Ask any cyber security expert and they will tell you that computer networks will inevitably be compromised and that the best defense lies in constantly monitoring for weird behavior. How exactly do you do that? Well, that’s where DARPA’s Active Authentication program comes in. The Active Authentication program is aimed at verifying your identity based on your online behavior instead of an easily guessed or stolen password. “Examples of this could include, but are not limited to, behavioral biometrics that focus on a user’s unique way of typing on the device or cognitive biometrics that focus on how the user processes language and structures sentences,” he said. In theory, a user would log onto his computer using a government-issued secure ID card, known as a Common Access Control card. This would tell AA sensors to begin monitoring the user, analyzing typing and sentence structure, and comparing the patterns to previous behavior. AA isn’t just limited to desktop computers. DARPA will also address mobile devices. 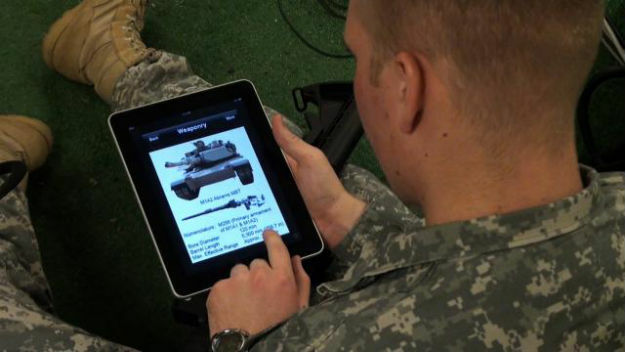 This could come in mighty handy for soldiers and spies who are increasingly reliant on smart phones and tablets to do everything from filing flight plans to collecting and sharing classified information. Mobile devices will have their own unique safeguards. “For example, the accelerometer in a mobile phone could track how the device rests in a user’s hand or the angle at which he talks into it. Another technique might track the user’s gait, reflecting how he walks as it is transported. In theory, each of these examples could be another layer of user validation,” Guidorizzi writes. Don’t expect AA tech to be put into place anytime in the near future, though — AA’s work is experimental. “This program is not intended to develop fielded systems but instead to advance the technologies and concepts outlined above,” added Guidorizzi. Still, some type of online identity software may emerge in the coming years. Just today White House Cyber Security Coordinator Michael Daniel told an audience at the Center for Strategic and International Studies that he wants to see research and development programs that sound a lot like AA shift the balance of cyber power from favoring the attacker, as it does right now, to favoring the defender. 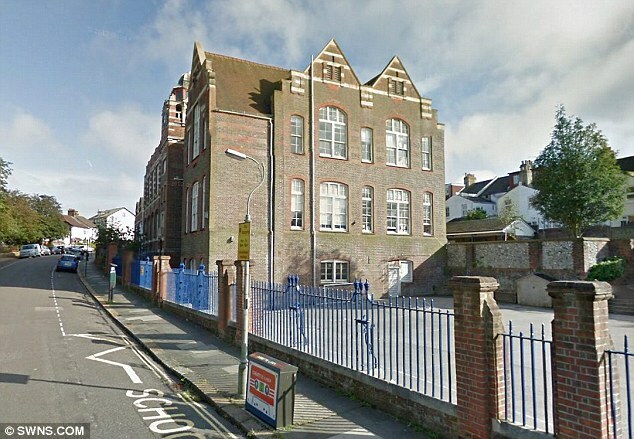 Raytheon, a Massachusetts defense contractor, has built tracking software that pulls information from social networks, according to a video obtained by the Guardian newspaper in London. Using public data from Facebook, Twitter, Gowalla and Foursquare, the software – called RIOT, or Rapid Information Overlay Technology – apparently gathers uploaded information and forms a profile of a person’s every move that was registered with one of the websites. The video obtained by the newspaper starts with a demonstration by Raytheon’s “principal investigator,” Brian Urch, showing how easy it is to track an employee named Nick – a real person – based on all the places he has checked in using his smartphone. Urch goes on to analyze – using graphs and calendars – where Nick likes to spend his personal time and make predictions about his behavior. “If you ever wanted to get a hold of his laptop, you might want to visit the gym at 6 a.m. on Monday,” Urch says with alarming casualness. But it’s also a reminder that advertisers are not the only ones with interest in the reams of data that social networks collect about regular people. Consider: Had the CIA built a tool like Facebook, we’d probably all be terrified. And all the tracking data this tool analyzes is provided voluntarily, by us. The satirical news site the Onion, always on point, once joked that the CIA’s “Facebook Program” had drastically cut its spying costs. Users who enjoy posting their lives on computers they don’t control – i.e. those of Facebook, Twitter, Google, et al – should not be surprised when that data get out of their control. 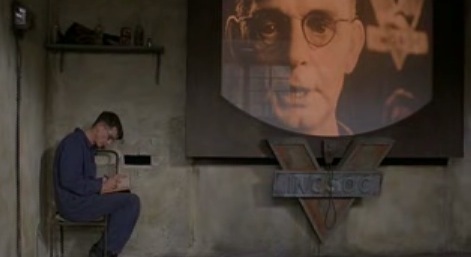 Some governments, like France, are doing what they can to keep an eye on how social-networking data are used, but at the end of the day, if we don’t want Facebook and Twitter using our data, we shouldn’t give that to them. A final note: The Raytheon video features technology from 2010 – three years ago. No doubt the tracking software has come a long way since then.